Blue Ocean's "Brufut Coastal Plots" consists of 35 properties (plots) of varied sizes located in Brufut 500m off the Coastal Highway and 750m from the Atlantic Ocean (Brufut Beach). 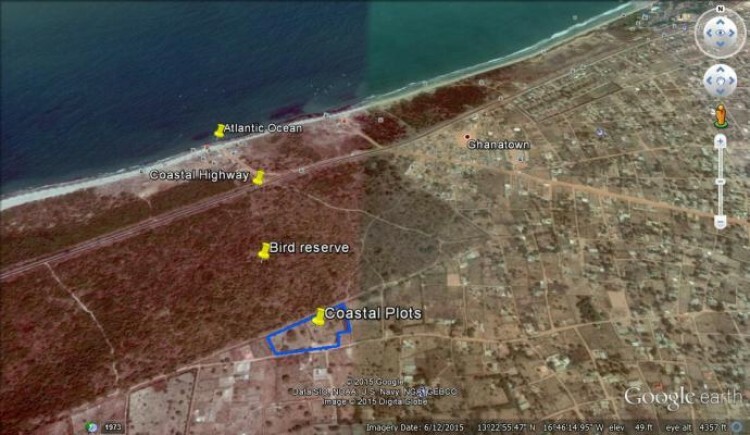 The properties are directly behind Gambia's main bird watching tourist attraction; The Brufut Bird Reserve. The Coastal Plots have both electricity and water connected to Gambia's national grid and water network. Property sizes vary from 330m2 to 567m2 and prices start from D247,500 to D426,000.